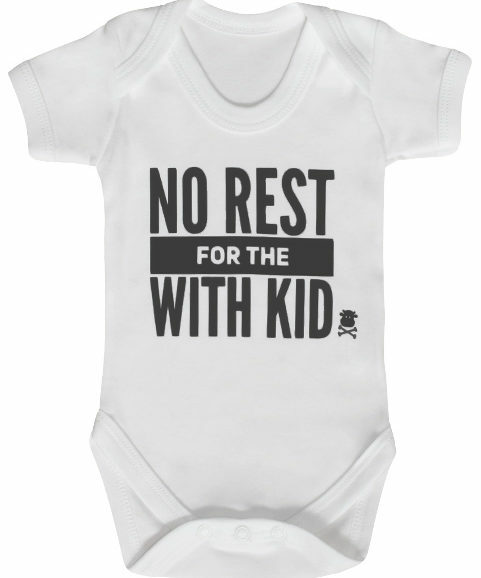 They say the geeks will inherit the earth, in this geeky baby grow you can make sure they instantly look the part all whilst teaching them their HTML & CSS from their ABC’s. One white cotton long sleeved baby grow. 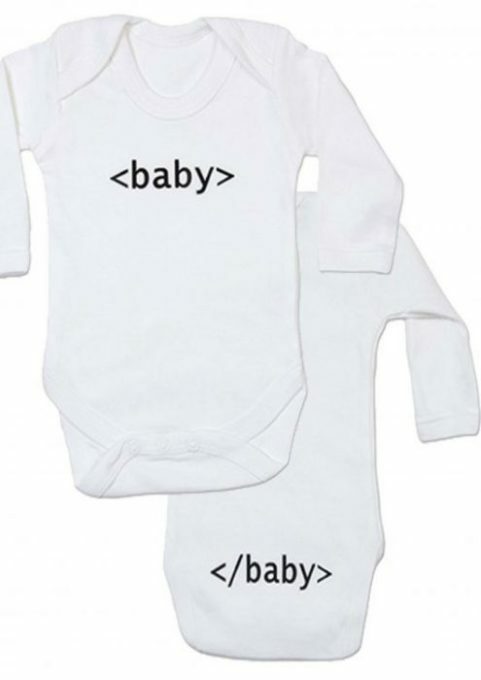 HTML geek print <baby> to chest & </baby> across bum. 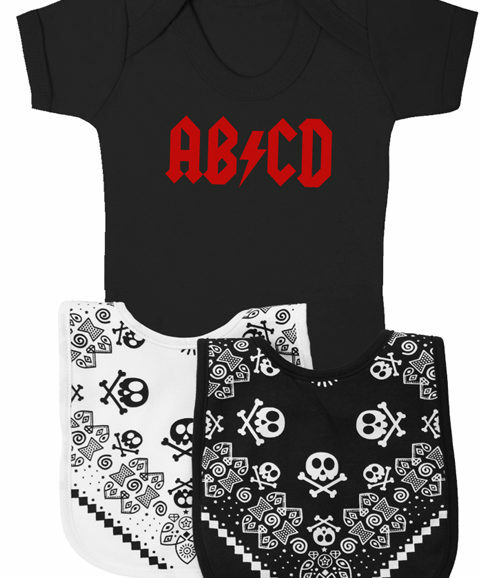 Envelope neckline & poppers to crotch for a glitch free clothing install for any nerdy baby boy or girl. Made in the UK ensuring premium quality. 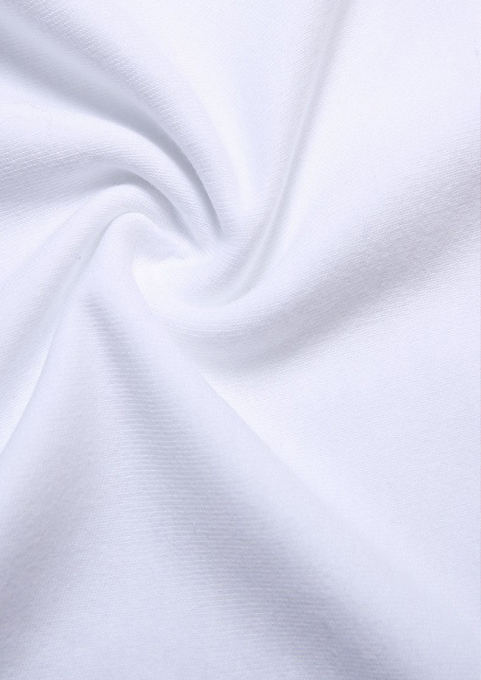 Super soft white cotton baby vest guaranteed to keep your baby coder comfortable. 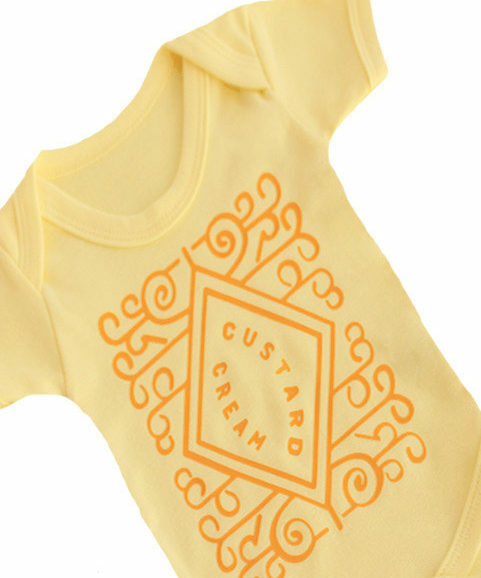 Unisex colours make it a perfect geeky baby gift for both boys & girls.